1.Question – What are Vacuum O’Ring Seals? 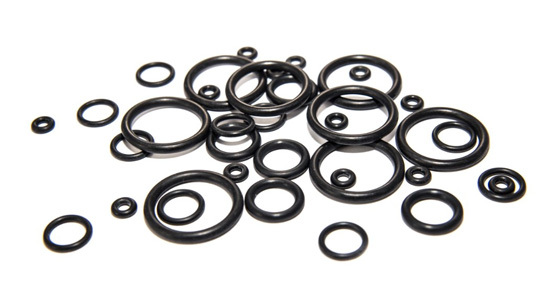 Answer – Vacuum O’Ring Seals are round rings used for making a vacuum-tight connection between Vacuum Flanged Components and a Vacuum Chamber, seals for Vacuum Chamber Doors and Vacuum Load Lock Doors. 2.Question – How is the Vacuum Tight Connection made? Answer – There are a number of different ways in which the Vacuum O’Ring Seals can be used to seal two flanges or components to a vacuum vessel. They can be used singly to vacuum seal a vacuum vessels top or base flanges or access doors. Another is to use the Vacuum O’ring Seal in an assembly that has a combination of inner ring, outer ring and a Vacuum O’Ring seal (named Centering Ring) fitted between two flanges to create the vacuum seal (see image). Centering Rings are available in a number of configurations. Viton® and Nitrile O’Rings with aluminium or stainless steel (or combination of both) inner ring or inner and outer ring. Nitrile is used when there is moderate temperatures and vacuum pressures. Viton® is used when required temperatures are up to 230°C, has good chemical resistance and long life cycle. The inner and outer centering rings are available in two types of material: aluminium and stainless steel. Stainless steel is selected where good chemical resistance is required typically in a variety of vacuum industries such as semiconductor fabrication and thin film deposition. 3.Question – What Material is Vacuum O’Ring Seals manufactured from? 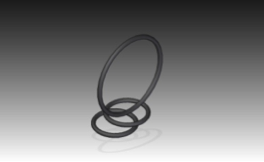 Answer – Vacuum O’Ring Seals used in the Vacuum Industries are manufacture from a number of different materials Nitrile (also known as Buna-N & NBR), Neoprene, Viton®, PTFE, Silicon, & Kalrez. Viton® has low permeation and high temperature resistance so is ideal for vacuum applications up to 230°C. Silicone has good chemical resistance, low temperature and high temperature resistance and is ideal for vacuum applications up to 450°C. Kalrez has excellent chemical resistance d is ideal for temperatures up to 327°C. Nitrile (also known as Buna-N & NBR) are different acronyms of the same material. Acrylonitrile Butadiene Rubber (NBR) is also known as Nitrile rubber. The Buna-N name comes from a polymer patented in 1934, suppliers and customers commonly use this name for all Nitriles. 4.Question – What Temperature can Vacuum O’Ring Seals be used to? As we are a manufacturing facility and vacuum product suppliers. We are able to offer a complete solution for your lab or factory. We have control of all processes from raw material to finished component. Allowing us complete control of the manufacturing procedure, and better lead times.